Have you noticed any changes in your digestive system when you get stressed? Symptoms like constipation or mild diarrhea are very common. Symptoms like these are just another example of how emotional stress can lead to real physical changes. 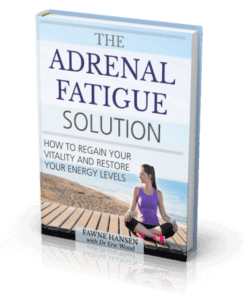 They are both fairly common symptoms of adrenal fatigue. Constipation is not only uncomfortable, but can be extremely unhealthy if it continues for a long time. If you experience constipation during times of stress, or during the treatment of your adrenal fatigue, there are a number of tips that can help. The best strategy is to avoid episodes of constipation altogether! That means eating a healthy diet, avoiding or reducing stress, and drinking lots of liquids. The following tips are simple to implement and should help to keep you constipation-free! Physicians have long understood that a fiber-rich diet contributes to regular bowel movements. Getting the right amount of fiber isn’t always easy though. Many people with constipation switch suddenly from a low-fiber diet to a high-fiber diet, and find that their problem is now diarrhea! 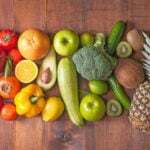 To achieve a happy medium, try to consume at least 30 grams of fiber per day on a consistent basis. The classic recommendations for a high fiber diet typically consist of; a whole grain breakfast cereal, such as oatmeal or oat bran, whole wheat bread for lunch and a serving of brown rice with dinner, and so forth. But many people, especially those with poor gut health, prefer to keep their consumption of grains to a minimum. Nuts and seeds (in moderation), lentils, beans, cucumbers, and green leafy vegetables are all good alternatives. Apples, pears, prunes, and nuts are also easy to carry and eat as convenient high fiber snacks throughout the day. Staying hydrated is one of the best things you can do to relieve fatigue. It will also help you to cut down on your consumption of stimulants like coffee. Just as importantly, it will help to keep your bowel movements regular and prevent you from getting constipated. There is a vast amount of evidence showing that dehydrated organs function worse than hydrated ones. Drinking insufficient water can put extra stress on your internal organs – the last thing you need when you are struggling with adrenal fatigue. Equally, a lack of water will stop your digestive system functioning as it should. If you are adding more fiber to your diet, this becomes even more important. This is because fiber absorbs water. Remember to increase your water intake when you follow a diet that includes extra fiber. Your water intake doesn’t all need to come from plain old water either! Herbal teas and vegetable juices are two examples of super-healthy, hydrating drinks that will do the job just as well. You can easily combine fluids and fiber by drinking a green vegetable smoothie for breakfast. Mix together water and a selection of organic vegetables such as; watercress, lettuce, spinach, cabbage, collard greens, and other leaves. If you need a little sweetness, try adding some low sugar fruit (green apple or blueberries) or some plain, probiotic yogurt. 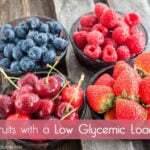 Sorbitol is a natural sugar found in many fruits that are relatively low on the glycemic index. The body does not digest it easily, so it remains in the digestive tract unprocessed while pulling water that will help to soften your stool. This natural sugar has an effect similar to fiber. Apples, pears, peaches, apricots, plums, prunes, strawberries, gooseberries, and raspberries all contain large amounts of sorbitol. Watch out for restrictive diets! Some special diets can increase your risk for developing constipation. High protein, low carbohydrate diets are one such type, although they can be perfectly healthy if they include enough fiber. Fiber is actually a carbohydrate, but it is one that the body cannot digest. And it is vital for a healthy digestive system. So pay special attention to any diet that you choose to follow, especially if it excludes high-carbohydrate fibrous vegetables like carrots and zucchinis. Some diets contain almost no fiber at all, which could mean you end up suffering from more frequent episodes of constipation. Is it caused by medication? Some over-the-counter and prescribed medicines can cause constipation. These include painkillers (especially those that contain codeine), some antidepressants, and some antacids. If you are taking any medication and you notice you are not as regular as you used to be, read through the side effects on the label and speak to your doctor or naturopathic doctor for suitable, gentler alternatives. For example, if you are taking antacids you might find that probiotics or digestive enzymes are a better solution. 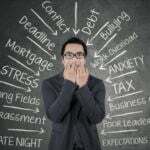 Ridiculous as it may sound, many people are simply too stressed and busy to take proper time to move their bowels! Bowels that are slow but otherwise regular and normal can accordingly be allowed so little time to empty, that a person can begin to feel gassy and bloated soon after. If feces are then allowed to build up in the bowel, it may harden and a side effect of this is constipation. Take your time, relax, and let it happen slowly! Get moving to ‘get things moving’! Many people have experienced constipation when, for example, spending time in hospital or long hours in the office. Adopting a regular exercise routine, even just a brisk walk at the beginning and end of each workday, can do wonders for your overall health. It may also help to strengthen the muscles that encourage peristalsis in the digestive tract. This last point is perhaps the most important of all. Be proactive about your health! For many people, mild constipation is the kind of long-term, low-grade health problem that they never get around to fixing. It’s annoying, it’s unpleasant, but it never gets bad enough for them to do something about it. For people suffering from chronic stress and adrenal fatigue, this is particularly true. Mild constipation might be just one of a number of symptoms that they just don’t know what to do about. By following the lifestyle changes mentioned in this article, you can go a long way to avoiding these unnecessary episodes of constipation. Start eating healthy food, treat your body well, and you might find that your fatigue starts to disappear too!